Whole FoodsA sign advertising deals for Prime members in a Whole Foods store. Amazon quietly updated the logos for all of its Prime services earlier this year, dropping the word Amazon. Prime is now a brand in its own right. It signifies Amazon is taking Prime beyond the Amazon-branded ecosystem as it heads into Whole Foods stores and elsewhere. Earlier this year, Amazon refreshed its logos for its Prime services. Notably, it dropped the word “Amazon” altogether. AmazonPrime’s old logo, (left) with the new one (right). In its new logo, Amazon Prime became simply Prime, Amazon Prime Video became Prime Video, and Amazon Prime Now became Prime Now. 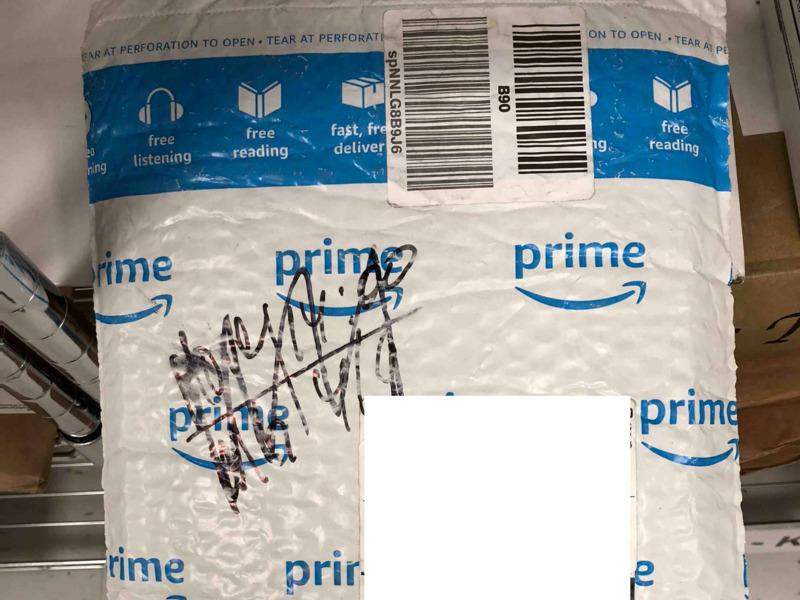 Business Insider/Dennis GreenA new bubble mailer with Amazon’s updated Prime logo. The move signifies what Amazon has likely long considered: Prime is a brand in its own right, and it’s time for it to stand on its own two-day shipping feet. Amazon is now rolling out the new logo to more facets of its operations. The tape that holds together Amazon boxes now carries just the Prime logo, and the mailer bags for smaller items are white with a blue Prime logo. The most brazen example of this new branding strategy occurred when Prime started integrating with Whole Foods stores. 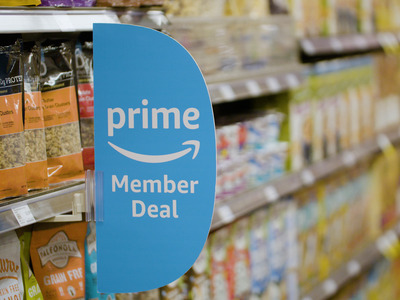 In place of Whole Foods’ typical muted signs are bright blue ones calling Prime members’ attention to the deals that are designed just for their benefit. Workers were given blue Prime hats, shirts, and aprons to wear to advertise the deals. What you won’t find in the store: any mention of the word Amazon. It appears on none of the signs, clothing, or other marketing materials. Not even the Whole Foods app, which customers must sign in to with their Prime accounts to get a code to scan at checkout, has the word Amazon in it. Amazon is clearly signifying something of a separation between Prime and Amazon, and it perhaps wants customers to think of Prime as a service that offers benefits beyond the Amazon-branded ecosystem. Whole Foods and the gaming-streaming service Twitch – which allows for free Twitch Prime membership with an Amazon Prime subscription – are just a few examples of where Amazon is taking the Prime brand outside of Amazon. But, it seems the sky is the limit for the service. It makes sense for Amazon to invest so much in Prime’s branding: the service is one of, if not the most, important part of its retail business. Its subscribers are, overall, pleased with it, and they often spend more money, more often on Amazon. In April, Amazon CEO Jeff Bezos revealed that more than 100 million people pay for Prime.